Chocolate and orange is a favourite of mine. I know it’s not for everyone, but if you’re on my team for this one then this recipe is for you. I remember eating those Terry’s chocolate orange when I was younger, whacking them on the table and then proceeding to devour the whole thing all by my self. Now that’s an accomplishment – though not one to be very proud of! 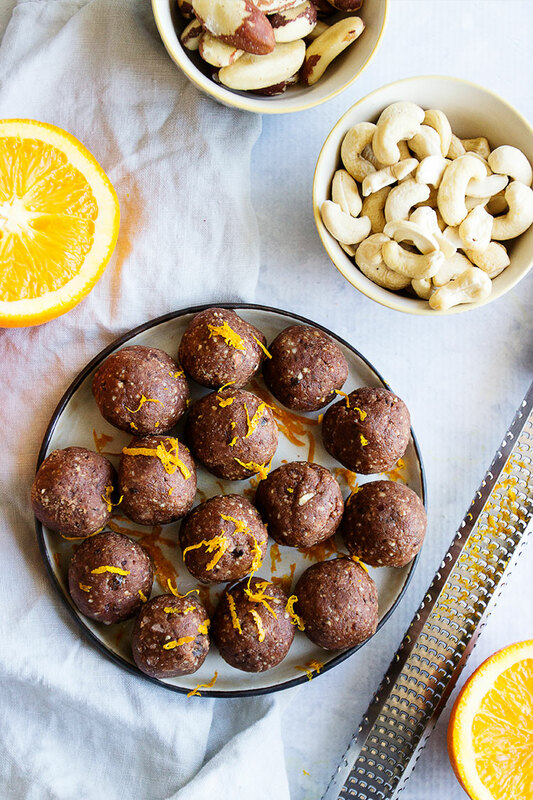 There is no whacking involved in these Chocolate Orange Bliss Ball Truffles, and even if you do gobble up a fair share, they won’t leave you guilt-ridden. Actually, since these are filled with yummy nuts they are quite rich, which makes having way too many a bit of a mission as they are surprisingly filling and satisfying. Knowing me though I could easily eat this whole batch, but in the name of self control I usually keep them in the freezer, which means I need to patiently wait for it to defrost in case I choose to eat more than I originally planned. If I’m out and about, I take a select amount with me when I’m heading out the door and they’ll easily defrost in my bag as the day go on. Place your cashews and brazil nuts in a food processor and bltiz until they have broken down and have a flour-like texture. Add in remaining ingredients and blend until fully combined - it should be quite a sticky paste! Using your hands, roll about 1 tablespoon of the mixture into a ball. Note - if desired, you can then roll them in some extra cacao powder, orange zest or desiccated coconut. Repeat until you’ve used the entire mixture. Store in the fridge, keeps for about one to two weeks, or freezer for about a month or so. 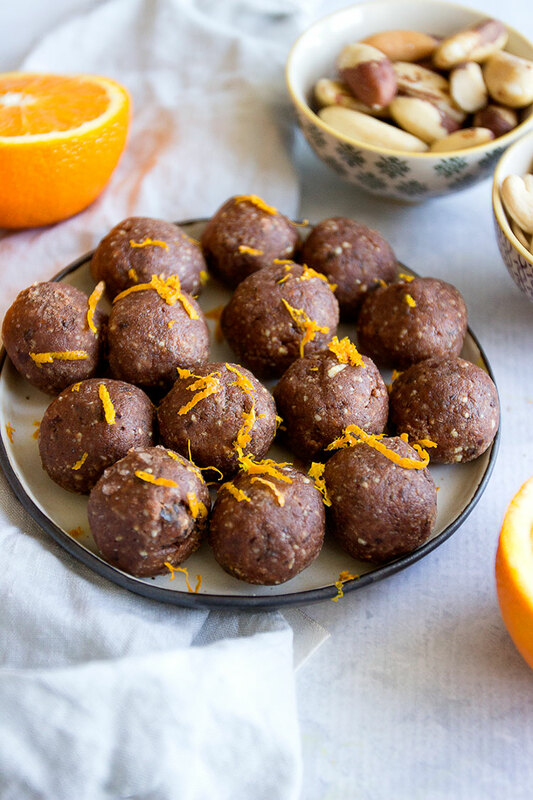 Hey Buddy!, I found this information for you: "Chocolate Orange Bliss Ball Truffles". Here is the website link: https://www.sprinkleofgreen.com/chocolate-orange-bliss-ball-truffles. Thank you.